Quarterly filings from major hedge funds are highly anticipated in the financial community — many investors and market watchers are at least somewhat curious about what funds have been doing, and may find some of their picks to be interesting initial ideas. We track hedge fund filings over time, alongside with those of hundreds of other notable investors, including hedge funds , as part of our work developing investment strategies. Our research shows that the most popular small-cap stocks among hedge funds earn an average excess return of 18 percentage points per year (learn more about our small-cap strategy) and our own portfolio following this strategy outperformed the S&P 500 by 33 percentage points in the last 11 months. First on our list is Walker & Dunlop, Inc. (NYSE:WD), a small-cap commercial real estate financial services company with a focus on multifamily lending. Although in the last 13F form filed by Fortress Investment Group at the U.S. Securities and Exchange Commission, the fund declared that its position in the company remained unchanged over the third quarter of 2013, its bets are still quite high. The fund owns more than 10.5 million shares – valued at more than $144.6 million – which account for roughly 3% of the total value of its equity portfolio. In addition, one Board Director, Dana Schmaltz, also seems to feel bullish about Walker & Dunlop, Inc. (NYSE:WD). Less than three months ago, the insider acquired 1,000 shares of the company for $13.69 per share. Schmaltz now owns 21,243 shares. The stock is almost flat since her purchase, and trades at only 11.3 times the company´s earnings, below its peers´ average of 19.3x. Another interesting case is that of Penn National Gaming, Inc (NASDAQ:PENN), a $901 million market cap company that owns and manages gaming and pari-mutuel properties. Although Novogratz’s fund’s stake in this company only comprises 0.16% of its total Q3 holdings, its 157,823 shares are still worth more than $ 1.8 million. 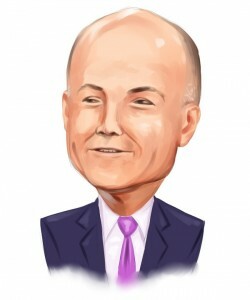 Furthermore, Novogratz is not the only one feeling confident about this stock’s future performance: 2 months ago, Saul Reibstein, Senior Vice President and CFO at Penn National Gaming, Inc (NASDAQ:PENN) acquired 500 shares for $14.47 each. He now owns 2,349 shares of the company. Moreover, analysts also seem to like this stock: a wide operating margin and cheap valuation (10.4x P/E), make it a buy/strong buy case for most analysts, even though consensus estimates point towards negative EPS development figures for the next five years. In the third place in our list is The Home Depot, Inc. (NYSE:HD), the large-cap (and very well-known) home improvement retailer, of which Novogratz holds 102,000 shares, appraised at more than $8 million. Opinion among analysts is quite divided in relation to this company. However, most of them rate it as a buy or strong buy case, mainly in account of its stability, scale, market position, below average valuation (at 21.4x P/E, versus an industry average of 21.8x), wide margins and returns, and dividend yield (usually close to 2% of the stock price). And not only Novogratz seems to agree with this view. On Nov 21st, Helena Foulkes, Board Director at The Home Depot, Inc. (NYSE:HD), acquired 313 shares of $.05 Common Stock for approximately $79.73 per share. Although these shares are all that she owns, the fact that she is ignoring the benefits of diversification is certainly a bullish signal. I should also mention that The Home Depot, Inc. (NYSE:HD) declared last Thursday that it has purchased the online window coverings retailer, Blinds.com (which should help HD to expand in this fast-growing industry), and that analysts expect the company to outperform the broader industry in terms of long-term EPS growth by almost 50%. Finally, there’s AGCO Corporation (NYSE:AGCO), a $5.1 billion market cap agricultural equipment and related replacement parts manufacturer and distributor. Fortress Investment Group added this company to its portfolio over Q3 and now owns 124,000 shares worth more than $6.5 million. Besides Fortress Investment Group’s new position in the company, an insider at AGCO Corporation (NYSE:AGCO), Mallika Srinivasan, Board Director, repeatedly bought shares of the company over the past six months. Starting in July of 2013, through several transactions, the insider added about 5 million shares to her diverse –direct and indirect- holdings*. The bets are probably based on the firm’s strong position in South America and Western Europe, room for growth in the U.S., strong relationship with TAFE (an Indian tractor manufacturer that distributes AGCO’s Massey Ferguson line in that country), and the management´s focus on increasing profitability. * The reporting person is an officer of TAFE and is a beneficial owner of certain equity securities of TAFE, a company 25% owned by AGCO.